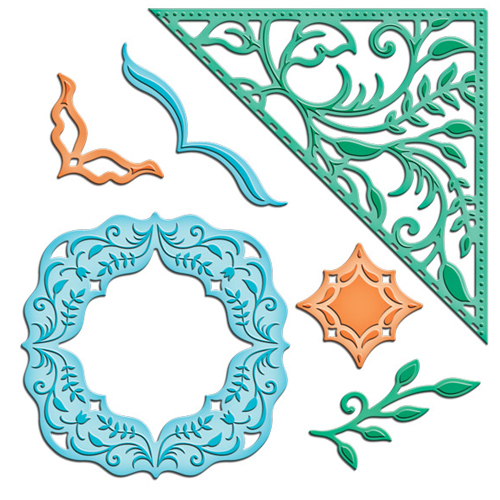 The Paper Boutique: Samantha Walker Blog Hop! 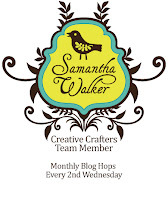 Welcome to the Samantha Walker Creative Crafters Team Blog Hop! 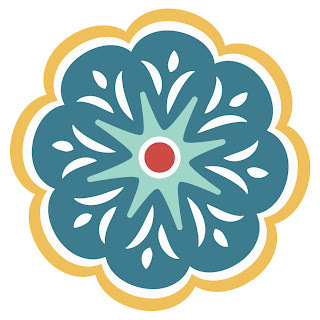 If this is your first time visiting Paper Boutique welcome and please take a few minutes and look around. If you like what you see, please sign up as a follower over on the left and like my Facebook page too. Don't forget to enter my Martha Stewart Glitter Giveaway by clicking here. You should have arrived here from Guiseppa's My Creations blog if this is your first stop, be sure to head over to Samantha Walker's blog to start at the beginning! I thought it would be fun to use Samantha’s Artisan Checkbook Style Mini-album Silhouette cut to help me with my New Year’s Resolutions to lose a few pounds and exercise more. I used Word to design tables that looked like checkbook registers to keep track of my progress. Why not have fun while working on those resolutions? I glued the inserts back to back for added stability, but you can simply staple them in the center to make a quick project. Samatha’s cut file is so versatile and can also be used to keep a food diary, or used as a mini album. The possibilities are endless! She also has two additional checkbook designs that you will want to check out by clicking here and here. Click on the image below to head over to Jennifer's Hydrangea Hippo blog. Love your project, such a great use for this cut file! What a great way to keep track! Hope you succeed in your endeavors! That is so smart! Great idea and can be used for so many things! Linda, this is absolutely adorable! What a cute cut file, and I love what you did with it! I love that you used the check register for something different---fabulous! What a great idea to use the mini album for keeping track. This inspires me to get my Cameo out of my crafty closet. What a unique and fun idea for a mini! What a fun idea to keep track of your weight loss. We all start that weight loss thing on Jan 1. This is a great idea--good luck achieving your goal. Wonderful idea Linda! Love this! This is beautiful! Love this idea...as I too am trying to loose a little as the new year starts. Lovely shade of green!! Gorgeous! Wonderful idea. I am about to start a food diary and maybe this would be perfect! Thanks for the inspiration! What a great idea....I want to use a few pounds too and this might just be the push that I need. What a clever idea, love it. I just got my Silhouette for Christmas so have been having fun learning to us it. Wonderful idea and love the green damask paper! Linda, this is such a cute project. Great alternate use for the checkbook cover. So enjoy seeing all your wonderful ideas! Linda this is beautiful, the colours are stunning. I could see this being used as a gift wallet for either money or shopping vouchers. This is a great project way to keep yourself on track! Very cool. One i have never seen before either! Thanks for sharing. jellybeankahler@yahoo.com new visitor and follower!! It's lovely and what a clever and practical idea! I love your mini! There are so many things that pop into my mind when seeing this! What an awesome project!! I love the gorgeous papers you used!! OMG! I just love it. Beautiful and useful..my kind of project! Thanks for sharing!